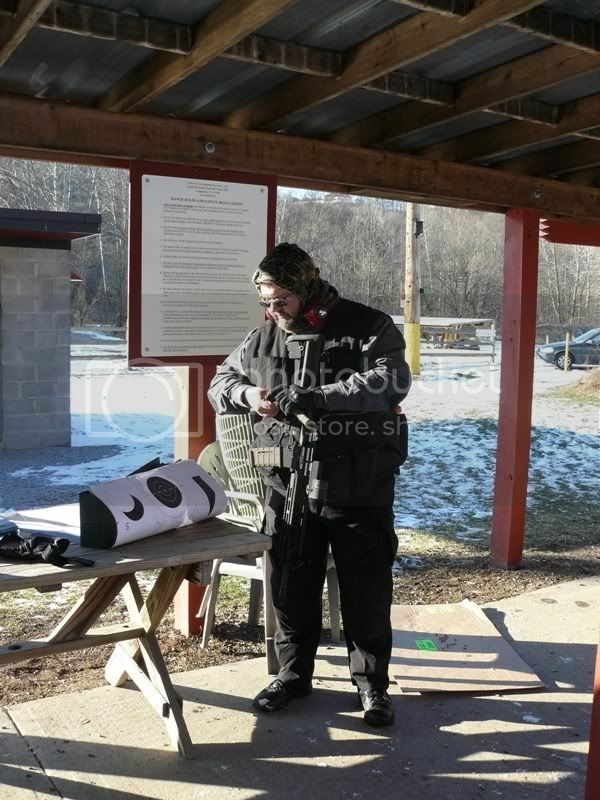 It looks like IWLA Dallastown will be holding their first Fun Shoot of 2011 on Saturday, January 22nd. For anyone who has not attended one of these before...they are a great, NON COMPETITIVE, way to get out and shoot your pistol with some like-minded folks. It is gonna be COLD on Saturday so it appears they will have a smaller venue than usual....but I guarantee that if you come out, you will have fun! It appears it is going to be a very casual shoot due to the impending cold. Check out all their info at http://www.yorkpistol.blogspot.com/ . Safety is of the highest importance at these shoots so be sure to read up on what they expect of you. Cummon....I think we are all tired of being inside this winter....come out and blow off the dust with me. Shoot what you have or what you carry. I didn't see a start time mentioned, do you happen to know what that is? Sorry I was not specific. 8:30 setup, shooting as soon as we are ready. I, JohnUSCG, would like to announce that I am a full-fledged sissy. I woke up this morning and looked at the outside temp and promptly said..."I don't want to go shooting that badly." 7 degrees out. Hope those that did go had a good time! I left my house in Pasadena MD @ 7:30 AM it was "15". When I got to the range it was "1". About a dozen or so showed up to shoot. It lasted till about Noon. Thanks to all who showed up, it was indeed grand! Hey JohnUSCG! Good to see you at your home place today, good shooting. Any of you who are into Sporting Clays, check this place out, they are a class act! I had the best trapper yet this morning. The girlfriend and I went. It wasn't bad at all. I wish I just had brought more than my 22. Never pulled Bering Sea Patrol, huh? We had an M4C weekend here in da' 'BURGH last January, in single degree temperatures. I'm pleased to say, my POF-415 & I held up quite well. I am the luckiest Coastie alive. All of my duty was spent in the great Northeast or on the Washington/Oregon/California coasts. Never made it north of Victoria, Canada. Well it's that time again, the March shoot is tomorrow. I'm ready.